It is not the kind of economic background Brazilian President Dilma Rousseff must have hoped for in her run for re-election. Just five weeks before the voting that will take place on 5 October, it was announced that Brazil had fallen into a recession earlier this year. The economy of South America’s largest country shrank by 0.6% in the second quarter of this year and by 0.2% in the first. 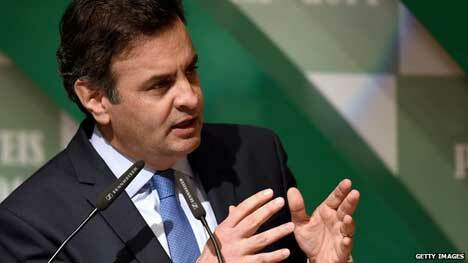 Analysts are projecting Brazil’s growth to be less than 1% in 2014 while inflation is at the higher end of the central bank’s target. In 2010, when Ms Rousseff was first voted into office for the Workers’ Party, the economy was growing at 7.5%, attracting positive headlines both at home and abroad. It is hardly surprising, then, that the economic slowdown has become fertile ground for opposition candidates to exploit. “This will probably be the most competitive election in Brazil since the late 1980s,” says Carlos Melo, from the business school Insper. 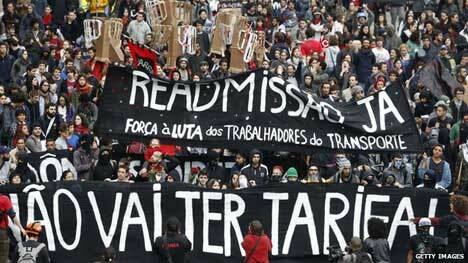 “The slowdown has not had a huge impact on the life of most Brazilians yet, as unemployment is low. 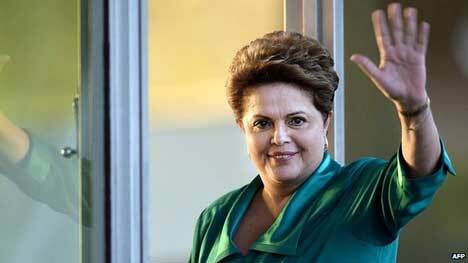 Even so, until 13 August this year, opinion polls suggested Ms Rousseff was the clear favourite to win the election. But everything changed when a plane crash tragically killed one of the candidates, Eduardo Campos of the Brazilian Socialist Party (PSB), who was running in third place. The former environment minister and internationally acclaimed green activist Marina Silva, who was already Mr Campos’s running mate, was confirmed as his successor. The most recent surveys suggest she is tied with President Rousseff for votes in the first round, which would trigger a second round of voting, and that she could actually win in a second round. The latest polls also suggest that Aecio Neves, of the Brazilian Social Democracy Party (PSDB), a former governor of the state of Minas Gerais, has dropped from second to third place. 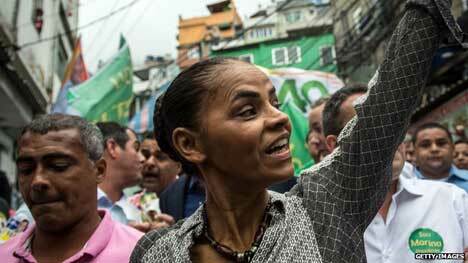 Ms Silva is presenting her candidacy as a way of promoting “political renewal”, as she does not belong to the Workers’ Party or the PSDB – the two parties that have dominated the country’s politics in the last two decades. “She has grown as a viable alternative partly because she placates the clamor for change of both the left and the right in Brazil,” says Armando Castelar, an economist at Fundacao Getulio Vargas. He explains that on the one hand, Ms Silva has indicated support for business-friendly and liberal policies, and that this has helped win her the sympathy of the markets and votes from Brazil’s elite. On the other hand, her personal story – born in a poor rubber tappers’ community in the Amazon and overcoming illiteracy and sickness – together with her green activist credentials, appeals to left wing voters. However, some are also uneasy about her conservative moral stance as an evangelical. “Ironically, Ms Silva is also gaining support among the new middle class, which has emerged in society during the last decade of the Workers’ Party administration,” says political scientist David Fleischer, from the University of Brasilia (UNB). He believes this is happening because as people have joined the formal job market and started to pay taxes, their expectations have also changed. 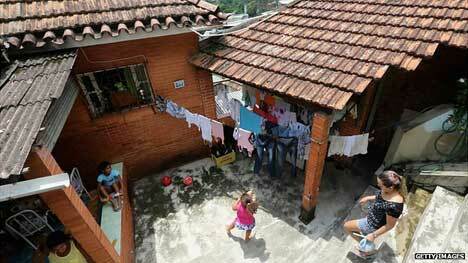 The Workers’ Party has been in power since 2003 and during that period millions of Brazilians have been lifted out of poverty. This is generally attributed to increases in the minimum wage and to social programmers such as Bolsa Familia, which encourage school attendance and vaccinations in exchange for income support. It reaches an estimated 50 million people. In recent years unemployment has also fallen to historically low levels despite sluggish growth, which Ms Rousseff has also highlighted in her campaign. Support for the government started to fall after millions of Brazilians took to the streets last year amid a wide range of grievances, ranging from the rising costs of public transport to police violence and the expenses associated with this year’s World Cup. The government’s approval ratings improved slightly in July when it became clear that the World Cup was running much more smoothly than many had anticipated. In the past few weeks, however, with the football behind them, Brazilians have been faced again with some sobering economic headlines. Last Wednesday, even the president admitted she wished Brazil “was growing at a more rapid pace”, and signaled for the first time that she could make changes in her economic policies in a second term. Opposition leaders argue Brazil’s economy has lost dynamism because of an “excess of interventionism” and a lack of reforms to improve the environment in which businesses have to operate. “What worries me the most is the 7% inflation and 1% growth that will be left for us to deal with if we win,” says Aecio Neves, comparing Brazil’s economic indicators with the national team’s 7-1 defeat by Germany during the World Cup. The government blames a less favorable international environment for the slowdown and claims that a wave of unjustified pessimism has inhibited investments. President Rousseff’s campaign claims that if the opposition wins it may push through economic changes that would put recent social advances at risk. Both Ms Silva and Mr Neves insist they will preserve and even expand social policies – some of which, opponents point out, predate the Workers’ Party government. “Debates about the level of government expenses may appeal to an elite, but what a large proportion of Brazilian voters want to know is whether they will keep on receiving social benefits, if inflation will remain low and if there will be jobs and credit for everyone,” says David Fleischer. It is on these key bread and butter issues that the final outcome of the election may be decided.